When we meet someone, we often look first at each other’s eyes. 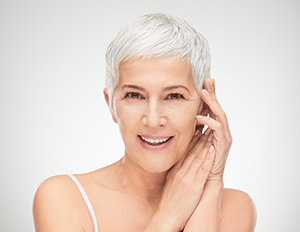 Unfortunately, the area around the eyes is also where signs of aging typically begin to develop. When the delicate skin of the eyelids starts to droop and crease with age, a procedure called an eyelid lift (blepharoplasty) can be performed to create a more youthful look.  Correction of the eyelids can make a huge difference in one’s facial appearance, often making a more profound difference than any other facial cosmetic procedure. What Can Eyelid Lift Treat? An eyelid lift, or blepharoplasty, is a plastic surgery procedure designed to correct the appearance of drooping eyelids, under-eye bags, and hollows. This is achieved by carefully removing excess skin and fat, and replacing lost volume in diminished areas. Customized eyelid lift surgery can help aging eyes that look tired, old, and sometimes even angry, become smoother, more contoured, and youthful-looking. Most patients can resume normal activities in one week or less following surgery; however, strenuous exercise must be avoided for about one month. What Concerns Can Eyelid Surgery Treat?  Depending on your needs and goals, Dr. Jeffrey Copeland—our board-certified plastic surgeon—can develop a surgical plan that gives your eyes a more youthful and energetic appearance. Blepharoplasty can also be medically necessary to correct drooping eyelids that interfere with proper vision. In some cases, Dr. Copeland may recommend additional procedures or treatments that can help you achieve a greater degree of rejuvenation. For some individuals brow lift surgery may be necessary to smooth forehead creases, elevate the eyebrows, and provide added lift to the upper eyelids. For wrinkles, like crow’s feet and frown lines, injections of BOTOX® Cosmetic can be an effective non-surgical approach for creating smoother skin in areas that a blepharoplasty cannot address. Upper eyelid surgery is recommended for individuals with excess skin and/or fat in the upper eyelid region. This procedure can eliminate drooping skin and puffiness, while creating more definition along the upper lid contour. Lower eyelid surgery focuses on correcting puffy under-eye bags, skin laxity, and hollows. The goal of lower eyelid surgery is to remove excess skin and/or fat, fill hollows, and create smooth skin beneath the eyes for a youthful appearance. Finding out the best approach for your customized eyelid surgery requires a personal cosmetic consultation with Dr. Copeland. During the appointment he will examine your eyes, discuss your concerns, and explain his plan for rejuvenating the appearance of your eyelids with blepharoplasty (if you are a candidate). During the procedure, Dr. Copeland makes an incision within the upper eyelid crease or close to the lower lashes so that visible scarring is minimized. The surgery can be performed under sedation in the office or under general anesthesia in an operating room. The procedure usually takes one to two hours to perform (if upper and lower eyelids are being done, then the procedure may take longer). The details of your unique surgical plan will determine the precise techniques used to rejuvenate your eyes. What is Recovery Recovery from Eyelid Surgery Like? Generally speaking, most patients can resume normal activities in one week or less following surgery; however, strenuous exercise must be avoided for about one month. Following surgery mild bruising and swelling is to be expected, but these effects typically dissipate within the first week. Any discomfort during the initial days of recovery can be treated with cold compresses and prescription medication. It is important to attend all follow-up appointments with Dr. Copeland to ensure that you are properly caring for your incisions and healing on schedule. When healing is complete, the majority of our patients are often thrilled with their more youthful and energized appearance. It is important to attend a consultation with Dr. Copeland to find out the exact cost of your blepharoplasty, as pricing fluctuates based on the degree of enhancement you require, which eyelids will be treated, and the complexity of the proposed procedure. If you need to undergo blepharoplasty to correct an eyelid (or eyelids) interfering with your field of vision, health insurance may cover part or all of the surgery. A knowledgeable member of our team can help review your benefits, inform you about your coverage, and calculate any out-of-pocket costs. If you wish to use financing to help with the cost of your procedure, we can help you explore your options with CareCredit®, a trusted third-party lender. That lender, which specializes in loans for surgical patients, can give you options of low interest loans and sometimes flexible monthly payments, which can make elective surgery more affordable and convenient. We are happy to answer any questions you have about cost and payment. If you have questions about eyelid surgery or want to schedule a consultation, please contact Copeland Cosmetic Surgery.